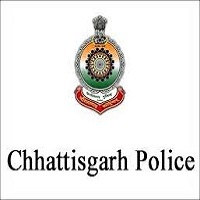 CG Police Jobs Recruitment Notification 2018.Chhattisgarh Police Department inviting applications for the positions of subedar, Sub Inspector and platoon commander jobs.Interested and Eligible candidates can apply for the positions. Last Date for Submission of Application is on September 16th, 2018..
Total number of posts to be filled are 655 in CG Police Department. Post wise vacancy details are given below. Candidates those who are BCA/B.SC/ Graduates from a recognized university can apply. Through written exam candidates will be selected. Mode of applying for CG Police recruitment is through online mode. The online portal link will be active from 24th August 2018 to 16th September 2018.
http://www.cgpolice.gov.in/recruitment is the link for applicants to apply directly.